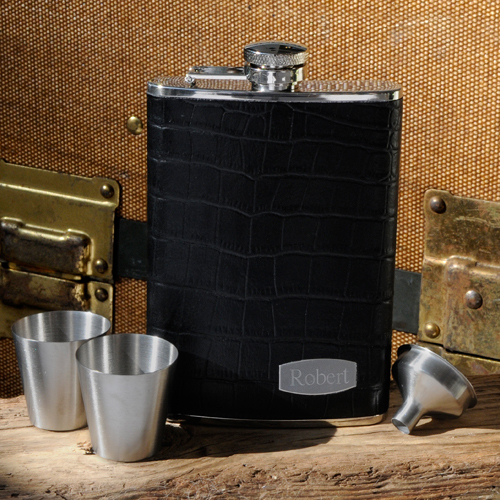 * Covered in black leather and fashioned from durable stainless steel, the Personalized Executive Leather flask Set is slim and discreet. * Ideal for the man on-the-go, the set includes a flask, funnel, and two shot glasses, all attractively packaged in a gift box. * Flask holds 8 ounces and measures 5 3/4" x 3 3/4" x 3/4". * Each shot glass holds 1 ounce.